This book provides an introduction to genre analysis from the perspective of the 'Sydney School' of functional linguistics. Chapter 1 introduces our general orientation to genre from the perspective of system and structure, and places genre within our general model of language and social context. Chapters 2-5 deal with five major families of genres (stories, histories, reports, explanations and procedures), introducing a range of descriptive tools and theoretical developments along the way. Chapter 6 deals with a range of issues arising for genre analysis in a model of this kind. Genre Relations has been written for a readership of functional linguists, discourse analysts and educational linguists, including their post-graduate and advanced undergraduate students. 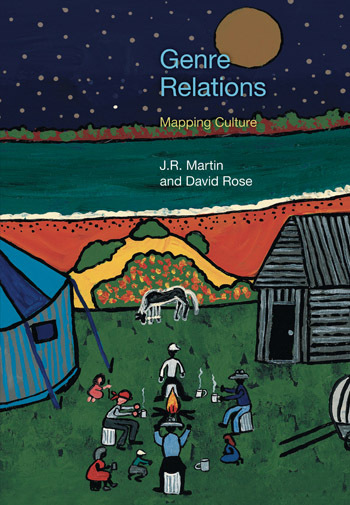 This valuable introduction to the genre theory of the Sydney School by Martin and Rose provides a theoretical and analytic framework to understand language as a form of social practice. ...One of the best aspects of the book is the way it integrates description and theory and links them to social practice and intervention. The authors are able to demonstrate that there need not be distinctions between contributions to theory and practice because their work has importance for both. This book certainly gives analysts more tools for thinking about genres and genre relations than previous works on the subject. From paradigmatic relations among genres, the authors argue their way towards a notion of macro-genres and multi-generic and indeed multi-modal text, arriving at some very expansive claims in the final chapter. The authors invite readers to consider an all-encompassing view of genres as configurations of meaning that constitute a culture. This is a much bolder claim than we have seen in this field for some time, and it is one that should raise wide-ranging questions for scholars concerned with the relationship between language and culture. This book will be useful to researchers of genre and also to students and teachers who are using genre analysis for academic of professional purposes.